It was the 31st Décembre; we had a huge soirée planned including two NYE parties. Without looking at it myself, I shoved the test into mon chéri‘s palms. I was afraid to see the results. “Maybe if I don’t look at it, I’ll still be able to drink!” I hoped in vain. Fast-forward 22 weeks, and here I am: pregnant. In France. After weighing all of our options, we are happy to announce that we are expecting a girl! It’s our first, so, we’re having the “time of our lfe” embracing the joys and stresses that come with the first-born. 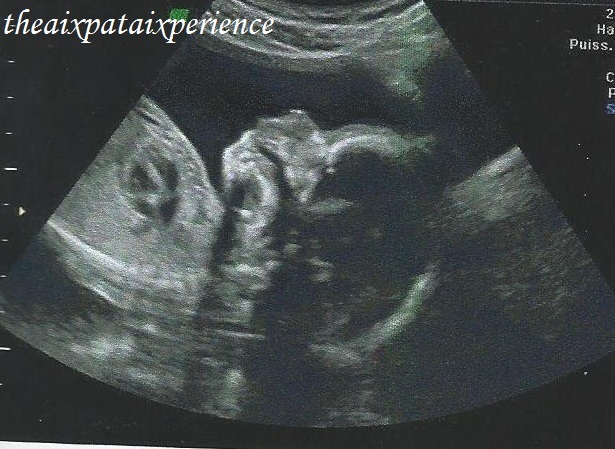 That is, the first to be born in our bilingual family (don’t worry, mom, Pitchoune will be fluent in English, too). Bilingual has such a cool ring to it, doesn’t it? It’s too bad Expat is attached. 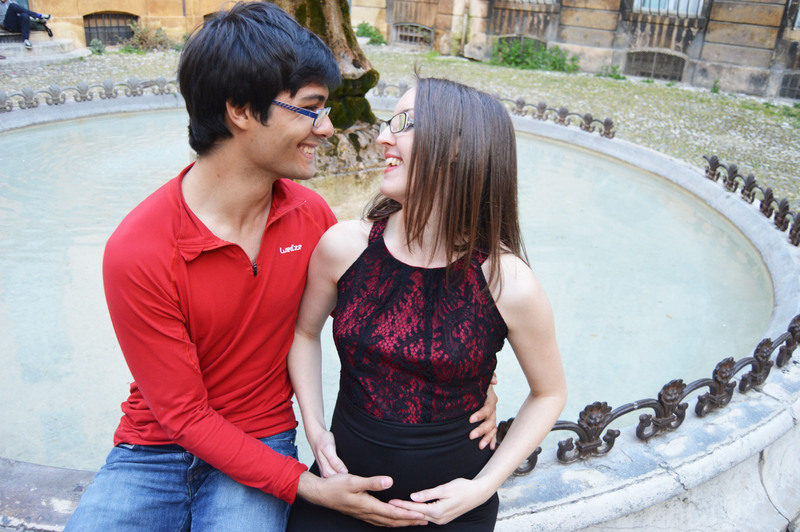 That is to say, being a foreigner doesn’t make things any easier when it comes to pregnancy abroad. 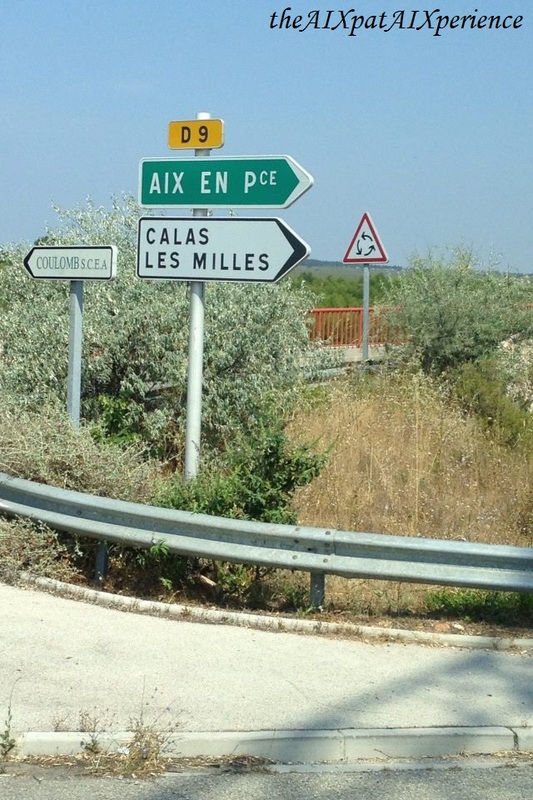 So, I’ve decided to write a few blogs explaining how an expat goes about having (including affording to have) a baby in France. Unfortunately, nothing’s as straight forward as it should be… and I’m all for making things as simple as possible. So, on y va! Before I got pregnant, we had already made plans to spend the rest of our lives together…I guess our “nether regions” took that decision to another level. In fact, we took the necessary precautions with préservatifs and we’ve still got a baby on the way, so, the only other answer is: it’s destiny. Maybe that’s pushing it, but, it is what it is. Le mariage, first, would’ve been idéal; however, it doesn’t by any means define our feelings for one another. Those ‘lovey-dovey’ feelings were established way before we moved in together. Le mariage is also quite expensive, and will be especially for us! Why? Because my family is in the US! Flights for getting my immediate family over here (or his over there) are enormously expensive! Maybe we’re too nice or maybe just too close to our families, but, one thing on the list is to pay for their flights. After all, none of us are rich. And then there’s the rest of our families – they should be included, too! 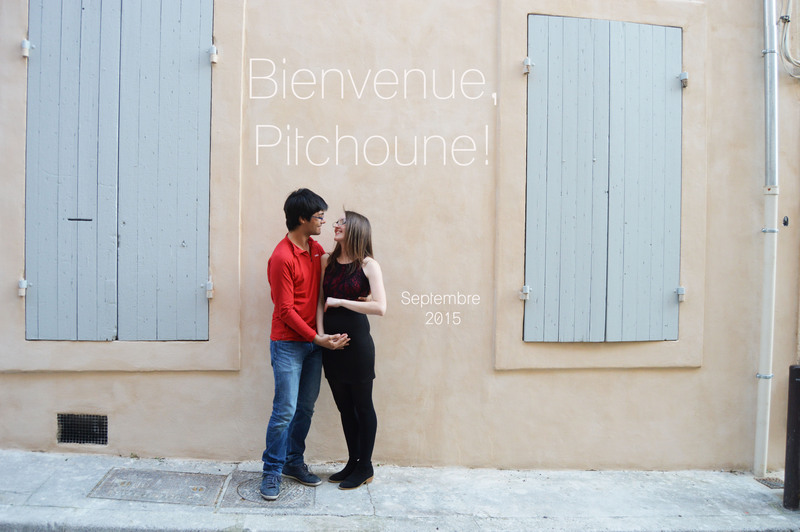 So, in the meantime (while we wait for our bank accounts to accumulate enough money to make our mariage dream come true) we’re jumping to step number 2: Hello, Pitchoune, or peanut! In France, la grossesse, or pregnancy, is 41 weeks; it’s 40 weeks in the US. In France, a pregnant woman must declare her pregnancy with la CAF (Caisse d’Allocations Familial), aka the state, and with CPAM (Caisse primaire d’assurance maladie), the French social health insurance (or, in my case, with MGEN, which is the social health insurance for teachers that I use). There’s no declaration to the state to be made in the US (except when you file your taxes, but that’s actually very different – and the French have that option, too). Depending on the state, there are programs, such as WIC, that are similar to what la CAF provides; however, it’s still not quite the same. For example, la CAF includes monetary aid to families based on the income of both couples, not just one or the other (married or not). This declaration to la CAF must be completed by the 14th week of pregnancy. If a pregnant Française (or legal immigrant) fails to declare the pregnancy to la CAF, there’s a 1,500€ fine! In France, giving birth & neonatal care is free; I can’t say the same for the US. In France, childcare is paid for by la CAF. Of course, how much the state pays depends on how much the couple makes. Also, the type of childcare chosen depends on how much la CAF will pay. For example, la CAF pays 100% for la crèche, or daycare, but in-home care (aka babysitter, nanny, or au pair) is anywhere from 60%-80%. NextThe First Trimester: Où sont les toilettes ?